For those intrigued by the subject of motion picture music scoring, it's a saddening thought: just as movie composers seem to have reached a degree of public recognition, the field itself seems to be in a state of decline. It is the current belief that you don't need to be a composer, nor even a musician, to supply the soundtrack of a modern film. Almost any generic tonal or rhythmic accompaniment will blend with a moving picture and seem intentional. Thus in place of actual music-making, we find two kinds of scores common to films today: (a) a bombastic orchestral score copied from John Williams adventure films (except that their orchestrations tend to be bulky and boorish, imitative of, but technically ignorant of, the balance and detail that characterizes the Williams style), or (b) a minimalist mixture of synthesized beats and drones that once were the goad of action video games but now can be found marking time behind theatrical movies. By the dawn of the New Millennium, a few of the best veteran film composers were still active and working on new movies: the aforementioned John Williams, the erudite Laurence Rosenthal, David Shire, Lalo Schifrin, Michel Legrand, Philippe Sarde, Ennio Morricone, John Barry and, at least until their deaths in 2004, past masters Jerry Goldsmith and Elmer Bernstein. And encouragingly, a few newer names seemed to be striving hard to create listenable music while also serving their films: i.e. encouraging moments from folks like Tan Dun, Michael Nyman, Jorge Drexler, and promising portfolios were accumulating from relative newcomers like Thomas Newman, Alexandre Desplat, Rachel Portman, Patrick Doyle. But by their very uniqueness, those examples are just a distraction from the growing realization that film scoring as a vital, practical craft, was and is in retreat or, more accurately, in a state of stasis. It feels unfair, though -- it smacks of elitism -- just to say that current movie music pales by comparison to some 'golden age'. Mere scolding is the last refuge of a curmudgeon. After all, films today surely demand a different musical approach from days gone by. In the past, films wanted a kind of musical narration where themes and variations, instrumentation and dynamics, all worked together to establish the story's setting, underline the characters' emotions, pace the drama, and, in a subtle way, represent the film's "message" or point of view. Conversely, today's mainstream scoring only serves as attention-getter, place holder, and mood maker. But enough whining. If we insist on registering complaints, they had better be weighed against some actual standard. So, here is one: Whatever soundtrack scoring may sound like by next year 2017, let us take a random year from the past – say fifty years back to 1967 – and audition its film music for comparison. It was a typical year of the period; nothing special -- typical movies and contemporary scoring that seemed to fit. Consider what film composers were doing back then -- at least some of the better ones. Then if we can identify what qualities they had, maybe we can more wisely mourn what we may be missing now. 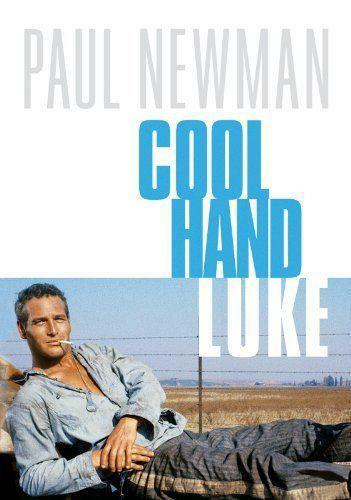 In Cool Hand Luke, Paul Newman played a prisoner on a rural chain gang whose heroic defiance of (and eventual martyrdom to) authority wins the admiration of his fellow inmates. In the score by Lalo Schifrin, banjo, harmonica, and fiddle strings speak of the backwoods setting of the prison camp while muted brass and hard percussive sounds seem to align with the faceless evil of the prison guards against Luke. 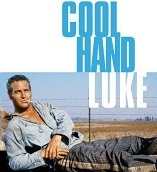 But it is through Schifrin's quiet, empathetic main theme, a recurring country ballad for two guitars that we really start to define Luke as the tragic hero whom the film portrays. He may be a rebel with a barracks full of admirers, but he is still essentially alone and, like Individualism itself when it bumps up against the State, he's doomed. Muted strings behind that guitar theme, in various resting places during the film, add their condolences so that, in the end, we remember the hero and his theme tune mutually. In sharp contrast that same year, composer Fred Karlin brought together a cheery trio of recorders tooting away in a carefree waltz, like some merry medieval madrigal, to accompany the modern adventures of a public school teacher as portrayed in Bel Kaufman's humorous memoir and Robert Mulligan's well-meaning film, called Up the Down Staircase. The choice of recorders proved both whimsical (its inherently playful sound) and nostalgic (for those of us who remember the recorder as a fixture of elementary school music classrooms and summer camp sing-a-longs). Backed by a hippie-era ensemble of sitar, electric guitar, and bells, Karlin's recorders are just as effective dancing down the school hallways as quietly musing in three-part harmony behind the sad subplot of one outcast girl student. Like any good school teacher, the score here succeeds by a combination of expertise, reassurance and good cheer. 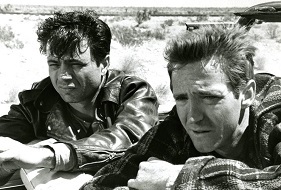 The flipside of such Americana was dramatized in stark black and white cinematography by Conrad Hall and the unnerving music score by Quincy Jones, for In Cold Blood, true story of two disturbed drifters who, for want of a way to spend their day, slew a whole family of Kansas innocents right in their own home. "Q" combined his classical training under Olivier Messiaen and his jazzman street-smarts to concoct a score that incorporates avant garde orchestral textures with equally scary "hip" sounds and swaggering rhythms – finger snaps, body slaps and mouth pops, even tapped Coke bottles and a down home blues tune played on a wax paper comb. Deep bass notes slur and slide up and down the scale in imitation of the killers' manic/depressive wrath about to be unleashed. A sick lullaby hints at their wounded childhoods; a huge organ announces the murders. Political murder and mayhem under the dictatorship of Haitian demagogue "Papa Doc" Duvalier – that's the subject of Graham Greene's novel and Laurence Rosenthal's score for The Comedians (which starred Liz Taylor and Richard Burton as Western expatriate lovers). Lush, hypnotic, chromatic harmonies in the scoring cast a sensual shroud that suggests the unholy connection between the depraved government's oppression of the people, often administered by secret police death squads (the dreaded Tontons Macoute) and the steamy oppressive jungle climate. Next to all that, the self-absorbed modern lovers (the comedians) seem trivial. Rosenthal explores the story's subtext of moral corruption in other ways as well: juxtaposing his disarmingly attractive Port-au-Prince music (this is the Haiti that tourists see) to the perpetually threatening presence of native drumming which ranges from distant and ominous to deafening and orgasmic. Regrettably, the film itself never reaches the level of insight or provocation that Rosenthal has set for it. 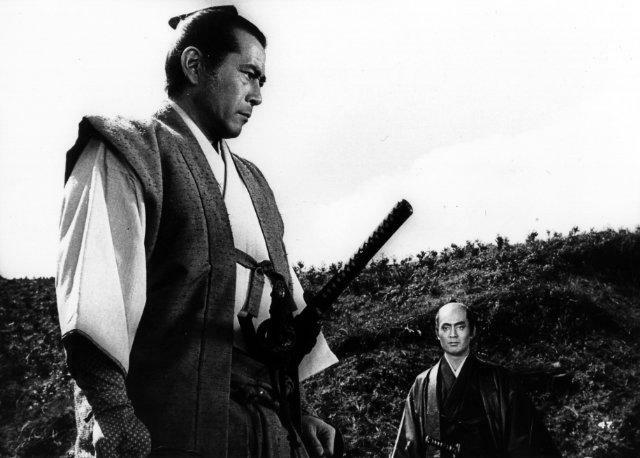 Meanwhile, different shades of drumming and percussion were equally meaningful in a foreign film score from the Class of '67, Toru Takemitsu's music for the Kobayashi fable, Samurai Rebellion, story of a war lord circa 1725 who banishes his former mistress, Ichi, to the service of a samurai and his family. Unexpectedly, Ichi falls in love with the samurai's son, Yogoro, just as the lord decides he wants her back. That sets up the samurai rebellion: defy the war lord and the samurai code of honor in the name of love. Opening the score with a round of ceremonial drums to accompany the lord's festival reinforces the primacy of tradition in that society, while the eventual introduction of soloist/tonal sounds into the score – the lute-like biwa, and the flute-like shakuhachi-- coincides with Ichi and Yogoro asserting their independence. Later, those two instruments play together and are further humanized by harp and light percussion. The ambiguity engendered by the film's mixing of a timeless love story with a time-locked historical imperative is suggested in the score by Takemitsu's electronic alteration of the instrumental ensemble, its sound filtered through various compressors and limiters. Music thus manipulated and applied adds to our interpretation of the whole film experience. In 1967, even foreign films began to acknowledge the history and value of classic Hollywood scoring: witness French director Francois Truffaut's hiring of veteran American composer Bernard Herrmann for two of his films – first the vivid score for Fahrenheit 451 (1966) and then the decidedly less colorful but no less aggressive music for Le Mariee Etait en Noir (The Bride Wore Black). For this contrived (Hitchcockian) story starring Jeanne Moreau as a widow who plots the murders of the five men responsible for the wedding-day death of her husband-to-be, Herrmann wrote a non-thematic score of suspense cues for a string orchestra (minus violins) plus a few brass and winds. The largely monotone music acts as connective tissue throughout the film and as a token of the main character's obsession for revenge. Repeatedly, Herrmann has his brass blurt out a taunting distortion of Mendelssohn's Wedding March. Later, one morbid motif in the strings is extended into a melancholy waltz that begins to add an element of humanity to this heartless tale. But Truffaut never really allows that. Indeed, during the scoring sessions he vetoed Herrmann's use of that waltz where it covered a lyrical shot of the bride's silk scarf floating away on a sudden summer breeze (symbol of the marital bliss she's been denied?). Instead, a non-committal baroque piece by Vivaldi replaces Herrmann's music there. Actually, no one was happy with this emotionally neutral score, much less with the cold film itself. 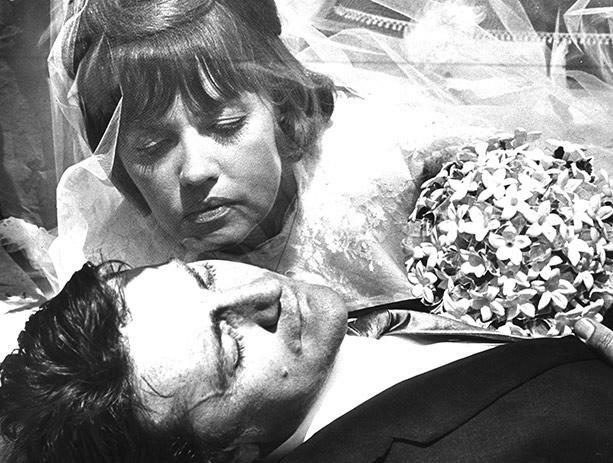 But it did represent at least an ideal to shoot for in world cinema: the wishful wedding of screen and score. Back in Hollywood, such theme-less scores were rare in the Class of '67. In fact, song-based scores were all the rage thanks to Simon and Garfunkel's pop songs in The Graduate, and to jazz-pop composers like Michel Legrand (Umbrellas of Cherbourg) and Henry Mancini (Breakfast at Tiffany's). Ironically, both Legrand and Mancini, even in those hit-haunted 1960s, were actually looking for opportunities to produce more dramatic scores, both men being adroit and detailed orchestrators. Mancini's long association with director Blake Edwards had mostly required him to supply pop scores but 1967 gave him two different screen vehicles with which to expand his range through other directors. 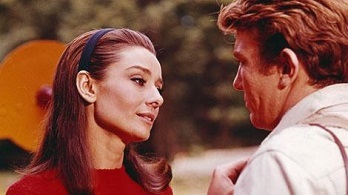 Stanley Donen's romantic road picture, Two for the Road, did rely on a single tune by Mancini – but it is a highly sophisticated, quietly yearning melody, complex enough to be developed in phrase-fragments throughout the film and yet sturdy enough to supply the emotional foundation underneath the mercurial relationship of the young married couple who are its main characters. We follow their honeymoons during a series of road trips over the years, wooing and sparring, bickering and reconciling, until they have to decide whether or not to grow up. Mancini's sincere heartfelt song-without-words is their only constant. There are a few other passing tunes in the score but it is that main theme that is the conscience of the film. Mancini hired the great jazz violinist, Stephane Grappelli, to perform on the soundtrack and, by the end, both the soloist and the score have proven so pervasive and persuasive that it almost seems as though the score had come first and the film had been made around it, like a long music video. 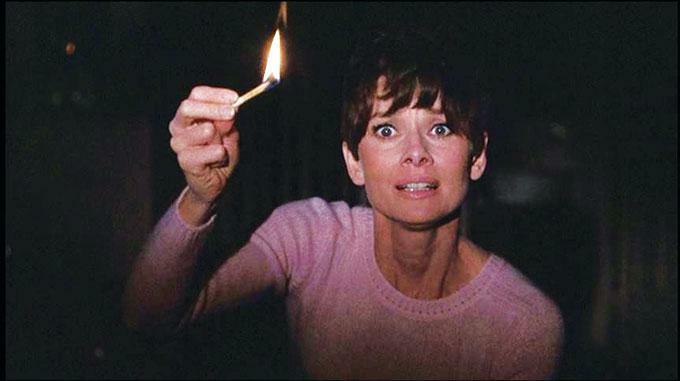 The other Mancini break-away music that year was his murky, creepy score for Terrance Young's thriller film Wait Until Dark in which a blind woman, Audrey Hepburn, is terrorized by drug thugs in her claustrophobic apartment. 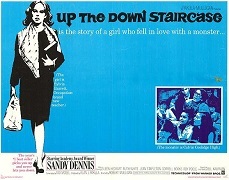 "No one will be seated during the last 15 minutes", warned the theater posters during the film's initial run. And Mancini's ingenious scoring climbs that same inclined plane of tension and revelation. It has three aspects: a weird opening tune offered by a lone human whistler doubled by piccolo to set-up a mood of vague vulnerability; an alternately expectant and explosive series of short orchestral cues spiked with accents and broken rhythms and powered by a pounding bass line to drive the plot (strings plus flutes and saxes, trombones and bass trombones); and finally a warm sympathetic melody that speaks of ultimate rescue and relief. Most striking of all, though, is Mancini's diabolical plan to use the sound of two identical pianos, except that one piano has been de-tuned a quarter-tone flat. Hence, if you play a single note or a phrase on Piano One followed by the same on the off-tuned Piano Two, the mismatch is sour and unsettling. In the recording studio, the players complained of vertigo and, hearing it in the theater, audiences felt as dizzy and unbalanced as the film's heroine. Combine those de-tuned pianos with that spooky lone whistler and the driving orchestral music, and you have a thriller score much more effective and efficient than, say, the thundering monster scores of the 1950s or, alas, the braying synthesized horror scores that pass for music lately. Here, it may be important to explain that, although we have found it interesting to highlight unusual instruments or clever sound-ideas in the foregoing films, their scores are not being praised merely for those oddities but because the overall composition in each case is already praiseworthy. De-tuned pianos or biwa solos only enhance a score if the music around them is solid. And one further caveat to be historically accurate: of the Class of '67, none of the aforementioned film scores garnered any real fame or recognition in their day. Only a handful rated soundtrack albums; two earned Oscar nominations but only because their films were popular. Other top composers just kept busy with routine assignments that year: Jerry Goldsmith worked on clichéd westerns; John Barry had another James Bond theme to write; John Williams, still an apprentice, labored over petty comedies. And as a cynical aside, we note that the celebrated veteran Elmer Bernstein, after all his pioneering work as a composer, spent 1967 collecting his one-and-only Academy Award win, though that was just for arranging the cues in a minor musical, Thoroughly Modern Millie! Neglecting quality work and encouraging trivia is nothing new. Best Score of the Year? Probably the best score of 1967, compositionally and cinematically, was Richard Rodney Bennett's Far from the Madding Crowd. 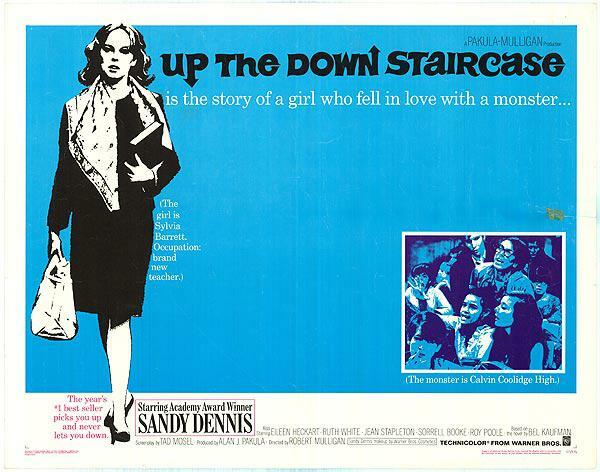 Set in Thomas Hardy's 1870s Wessex countryside, the film ostensibly told the story of the strong-willed, beautiful Bathsheba (Julie Christie) and her effect on three men: a rich landowner, a modest farmhand, and a rakish soldier. Musically, though, the soundtrack offers a broader view: it's a pastoral tone poem to love and landscape. Bennett's prelude is an original modal folk tune for unaccompanied piccolo that, once it's handed over to oboe and delicately harmonized by muted strings, seems to reach all the way back to…well, Chaucer's idyllic England, though Hardy is idyll enough. Three authentic folk tunes are also given dramatic chores in the score (with Bennett's modern harmonies): hear how a bawdy old drinking song is blared by a brace of trombones during the storm sequence, or how the shades of some of Bennett's mentors (Walton, Elgar, even Boulez) color the harmonies behind the troubadour ballad, "Through Bushes and Briars". But the film's original music is impressive enough. Watch one famous sequence set out by a ruined castle in which Bathsheba fantasizes her soldier/lover charging at her in a display of swordsmanship. It is clearly her reverie, her rapture born of desire, and the surrealistic visual staging confirms that. But it is the music score that makes the passion palpable: tremolo strings and feverish crescendos, the reappearance of Bennett's opening theme we have been hearing all along, now altered and agitated, ecstatic. It evokes a whole Hardy storybook world. "Mere" film music can embody all that. Is there technical excellence, originality, at least clarity, in the composition itself? Does its tone and content compliment the film by illuminating its characters, its setting, or its "thesis"? Is it cinematic scoring – i.e. does it interact with the film's editing, its pace, its 'look', its moods, rather than just lie behind it all? Once filmgoers and filmmakers become more conscious of creative principles like those, we may have a more interesting film music season next year. And we won't have to resort to flipping through the old school yearbook for the Class of '67 or wonder of any other past graduates why they were voted "most likely to succeed". Worthy freshmen will step up and take their place alongside such alumni. John Caps has written on music for High Fidelity/Musical America and the New York City Opera; and on film music for Film Comment, Film International, National Public Radio, The Cue Sheet, and the University of Illinois Press's "Music in American Life" series.